Facilities - Kasang Regency – a life full of non-stop entertainment. Explore, Entertain and Energise– that is our motto at Kasang Regency. Even as we guide and help our travellers explore the beauty of Lansdowne and its nearby areas, we also seek to ensure that the precious hours they spend at the Regency are full of fun and festivities. There are trekking routes a plenty from our resort itself like trek to the Lansdowne town , trek to the Village and many more and for our valued guests, interested in getting familiar with the mountain terrains and winged creatures in wilderness, we promote and arrange special guided tours. There are lots of bird species in this part of Uttrakhand and some of the `treat for the eye’ include kalij pheasant, wood pecker, red junglefowl, kingfisher, and koel. For guests eager to hit the bird watching treks, we arrange special early morning tours to enable them spot the maximum possible variety of winged beauties. Our staff guides ensure that the visitors get to the best possible locations for some memorable pictures. While ensuring that the tourists get all the view they desire for, our guides also make sure that no ‘leftover eatables’ and used bottles spoil the beauty of the place. The life of a village in these picturesque hills of Uttrakhand, with lots of up and down movement and loaded with some of the most beautiful green patterns, interest’s lots of our guests. And we fulfil their desire to familiarise themselves with this novel life by taking them to the houses nearby in our village Palkot of Almost always, our guests come back with enriched life, novel experiences, and some interesting tales. Non-stop entertainment is the way we live, and want our guests to live. Nothing less we will settle for. 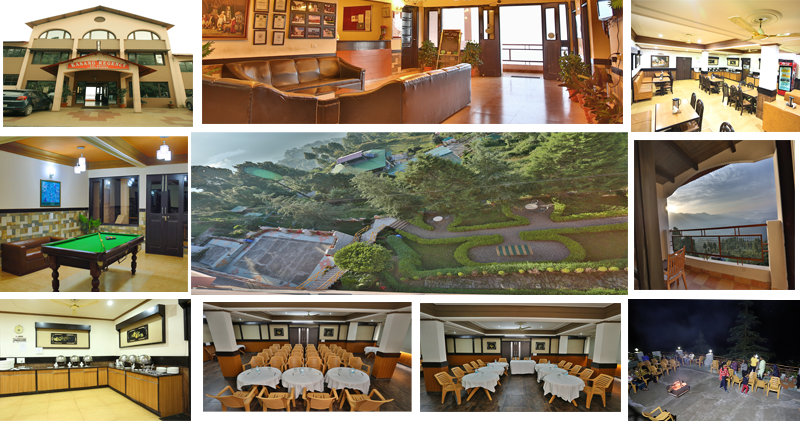 Sports facilities are one way of winning the hearts of our guests. Special spaces have been carved out to take care of the fitness and entertainment needs of our guests. Table tennis table ,a Pool Table (chargeable) to test the cueist in you, a Badminton court , a Basketball net – these are just some of the facilities we provide at Kasang Regency. A gym with all equipments including cycles, weights and treadmills is open to all our treasured guests. W​i​-​fi connectivity is ​available ​in Reception and Dining Area.